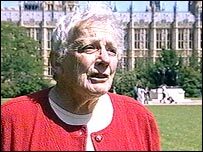 Mary Warnock, architect of England's special needs education system, is to publish a damning report on how it has turned out in practice. Baroness Warnock says pressure to include pupils with problems in mainstream schools causes "confusion of which children are the casualties". She also says the way the most severe needs are assessed is "wasteful and bureaucratic" and "must be abolished". She wants a "radical review" by an independent committee of inquiry. In a pamphlet to be published later this month by the Philosophy of Education Society of Great Britain, Lady Warnock calls for a fundamental re-thinking of the concept of inclusion, in which children with physical or emotional difficulties are encouraged to be taught in mainstream schools. This ideal of inclusiveness "springs from hearts in the right place" but she describes its implementation and the consequent moving of pupils out of special schools as a "disastrous legacy". "Governments must come to recognise that, even if inclusion is an ideal for society in general, it may not always be an ideal for school." Instead of putting special needs pupils into mainstream schools, she calls for a change in the status and purpose of special schools. At present, she says these suffer from a "patronising" attitude, which limits their use to children with the most severe and complex disabilities. "They are regarded as little more than places of containment, hospitals or day centres, but with better educational facilities," she writes. Instead she proposes a system of special schools which could serve a wider variety of needs, including autistic children, but which would be small enough to provide a reassuring and personal environment for emotionally vulnerable pupils. 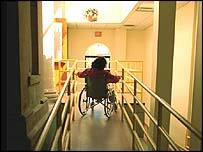 These would also have to recognise that special needs might emerge from social deprivation as well as physical disability, she writes. She says children can feel excluded even if they are in a mainstream school. "Inclusion should mean being involved in a common enterprise of learning, rather than being necessarily under the same roof." The system of "statementing", in which the educational needs of pupils with more severe difficulties are established, is also robustly criticised by Lady Warnock - who acknowledges her own responsibility in designing a process which has "turned out to be not a very bright idea". Lady Warnock, aged 81, a former head teacher, academic and leader of several high-profile inquiries, produced the report which laid the foundations for the introduction of statements of special educational need in England and Wales in the early 1980s. When the idea was first proposed, Lady Warnock says that it was expected that 2% of pupils with special needs would receive statements. That statements were actually given to 20%, she says, reflects the lack of clarity over their application. The statementing process has become too bureaucratic and unresponsive to parents, she writes. The Advisory Centre for Education, which helps parents, said: "The statementing process is necessarily 'bureaucratic' as it's the gateway to scarce resources for which good records are needed of the nature of the child's difficulties and the appropriate special help required." The leader of the NASUWT teachers' union, Chris Keates, said the principle of inclusion was "absolutely correct" but was undermined and discredited if it was pursued in a "dogmatic, ideological and unqualified manner". It had often masked an agenda in some local authorities which had more to do with financial considerations than pupils' needs. She added: "There is now some evidence that due to pressure from schools and parents a more realistic and considered approach is emerging."